The Flir Black Hornet PRS is a nano-unmanned aerial vehicle (UAV) system. Credit: FLIR Systems, Inc. 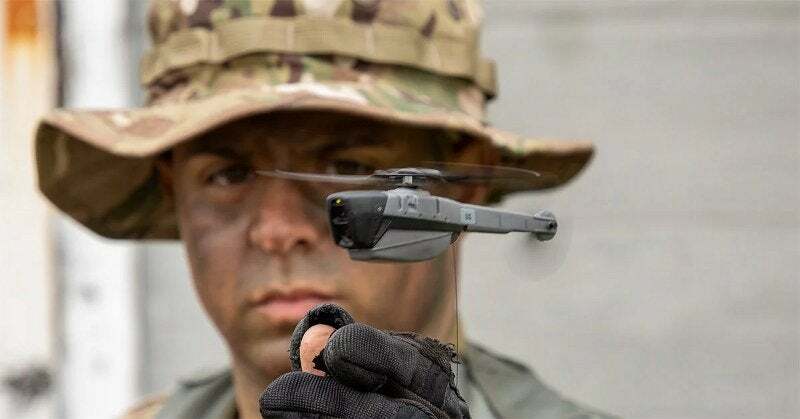 The US Army has placed orders with FLIR Systems for the delivery of its Black Hornet personal reconnaissance systems (PRS). The Black Hornet PRS is a nano-unmanned aerial vehicle (UAV) system that will support the service’s platoon and small unit level surveillance and reconnaissance capabilities. Under the $39.6m contract, the company will deliver an undisclosed number of Black Hornet units to the army. The army is procuring these units as part of its Soldier Borne Sensor (SBS) programme, which had a draft request for proposal submitted in August. The SBS programme will have two components, an unmanned aerial vehicle and a ground control station. FLIR Systems president and CEO Jim Cannon said: “We are proud to be selected by the US Army for the SBS programme of record. This contract represents a significant milestone with the operational large-scale deployment of nano-UAVs into the world’s most powerful army. The company will start deliveries of the units early this year. To date, FLIR has handed over more than 8,000 Black Hornet nano-UAVs across the globe. On 30 May 2018, the army awarded a $2.6m order for 60 Black Hornet III UASs to FLIR System. These systems will be deployed to a Brigade Combat Team. The company has announced plans to expand its UAS service and repairs centre in Somerset, Kentucky, US, to meet the demand for UAS support in the country.